Treat yourself to one of the largest floor plans in the area at Pinnacle at MacArthur Place Apartments in Santa Ana, CA. Most of our plus-size homes are upgraded with modern, top-of-the-line finishes. 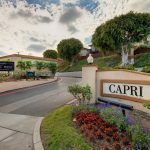 These South Coast Metro apartments for rent are near Costa Mesa. Many are filled with designer features like sleek, contemporary cabinets, quartz countertops, energy-saving stainless steel appliances, and brilliant, overhead lighting. After a long day, take advantage of our first-class amenities. Work out with new, cutting-edge Technogym cardio equipment. Take a dip in the heated, saltwater pool. Or, catch some rays on the extensive sundeck, ringed by Grecian-style cabanas. Guests will love coming to visit the Pinnacle at MacArthur Place Apartments in Santa Ana, CA. Entertain in the elegant resident clubhouse, complete with two televisions, a shuffleboard table, poker table, full kitchen, and complimentary wireless Internet. Pinnacle at MacArthur Place Apartments is in the heart of Orange County. Shop and dine at the OC Fair & Event Center, South Coast Shopping Plaza, or The District Shopping Plaza. 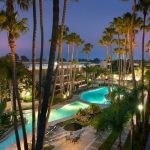 These Santa Ana apartments are conveniently located near John Wayne Airport and easily accessible to the 5, 55, and 405 Freeways. It’s time to take everyday living to a whole new level. Call today for your personal tour. See how easy life can be at Pinnacle at MacArthur Place Apartments in Santa Ana, CA.